If you Know Jesus Christ as your Lord & Savior; please join us as we observe the remembrance of our Savior's sacrifice around the Communion Table. 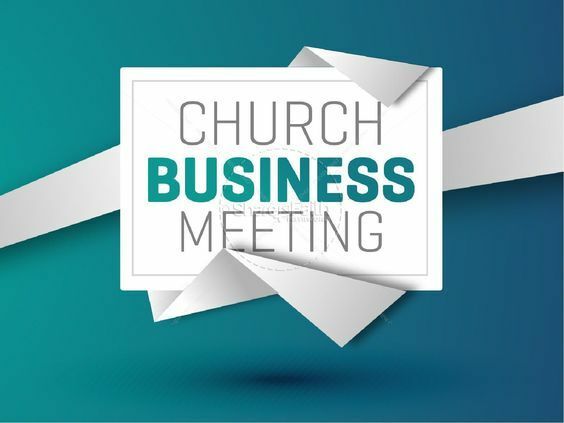 Our Third Quarter Business Meeting will be held after our Morning Service. Please advised that this will no longer include a meal. Please join us for our annual Thanksgiving Dinner at TBCic. We would love to fellowship with you around the bounties of the Lord about 12:30 PM after our morning service. Please plan to join us for our Adult Christmas Dinner. We will be going to a restaurant together as we celebrate Our Lord's Birth. Some details are being planned. We will sing & hand out Christmas flyers. The Winter Playground will be held in Downtown Imlay City on Friday, November 30, from 6:15 pm. We Will assemble at the TBCic between 4:45-5:15. All men and their sons are welcome to join us for breakfast at 8:30 AM. If you would like to cook, please arrive by 7 AM. TBCic is proud to present our First Responder Appreciation Service at 11AM. We praise God for the sacrifice of all first responders & their families. There will be a special time of prayer at the end of the service. DescriptionThis Is A Teen Only Event! Don't miss this time of fun, Prizes, and Bible learning. Register cost is $25 per Teen. Late-commers are welcomed! Be sure you call for more information about this awesome event! TBCic Happily invites all of our community to warm up with us and enjoy some Coffee, Hot Chocolate, Popcorn, Candy, Games, and much more. This will be a scare free event full of fun for your entire family. This conference is for anyone who is married or is interested in learning more about biblical marriage. There is no cost for those attending. Child care will be provided. Friday, Nov 2 6:30pm Session 1: God’s Blueprint for Marriage 7:30pm Refreshments 8:00pm Session 2: When the Grace is Personal Saturday, Nov 3 8:30am Refreshments 9:00am Session 3: That Ticks Me Off! 10:00am Refreshments 10:30am Session 4: Can You Hear Me Now? 11:45am Q & A 12:15pm Dismissal Please RSVP The Speaker: Fred Froman became the Pastor of Holt Baptist Church in January 2007. The passion of his heart is to communicate God’s Word accurately and clearly with practical, everyday application. He has served in pastoral ministry for over 30 years and is a certified biblical counselor with the Association of Biblical Counselors (ACBC). Fred and Sue have been married since 1979. She is involved in the music and women’s ministries at the church. Both are active in personal, marriage and family counseling. The Fromans have four adult children and six grandchildren.